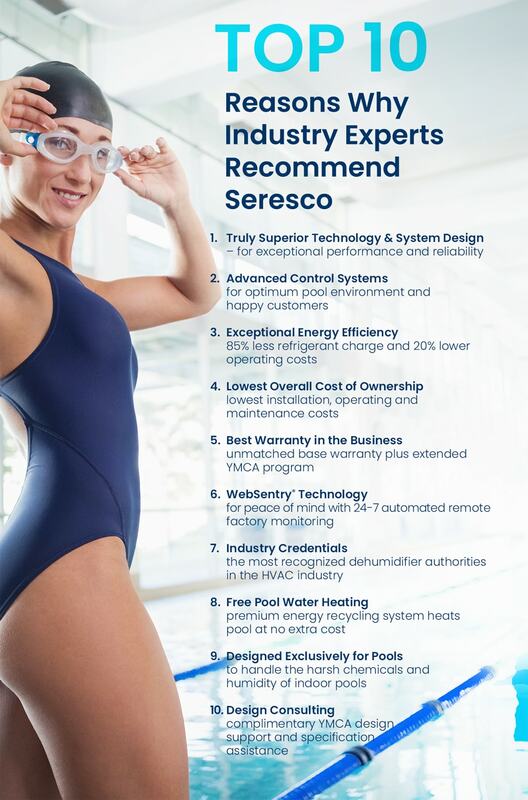 Seresco is the preferred supplier of indoor pool dehumidification equipment to the YMCA because of our unique technologies, exceptional system performance and reliability. Our unique environmentally-friendly Protocol Technology delivers the ideal pool room environment under all conditions, uses up to 85% less refrigerant and has the lowest overall operating costs in the industry. In addition, every YMCA indoor pool dehumidifier comes with WebSentry Monitoring Technology that redefines the concept of service and support by remotely monitoring, analyzing and reporting on all the critical functions of your dehumidifier 24/7 – in real time via the Internet. Should maintenance be required or trouble alerts occur, WebSentry will email your designated service personnel who have immediate, secure remote online access to your system. 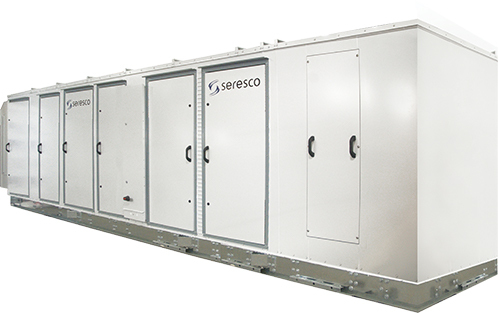 Should your service technicians require assistance, Seresco‘s factory service experts are ready to help. Seresco also provides the Y with complimentary consultation and the longest and most comprehensive equipment warranty in the industry plus priority remote service analysis via WebSentry. Our dream was to build a dehumidifier that solved the industry’s most challenging issues. Our revolutionary NP or Natatorium Protocol Series is the biggest industry innovation in 20 years and the future of dehumidification. A traditional natatorium dehumidifier requires a large refrigerant charge that is not just expensive, but also leads to oil and refrigerant migration control challenges that can impact compressor reliability. Traditional split systems also severely limit the distance between the unit and its remote AC condenser. Using a secondary heat exchange fluid, our ingenious NP Series overcomes both of these issues and more. Our NP Series also provides superior humidity control, exceptional reliability and lower operating costs, with as little as 1/6th the traditional refrigerant charge.